Mainstream media and the business press are awash with praise for high-tech innovations, and seemingly gush over every Big Idea as though it’s the best thing since sliced bread. The fingerprints of the rich and famous are all over the patents for the profitable products advertised and sold to society’s privileged few, who covet new gadgets for the status symbols they have become. Low-tech innovations, by contrast, are treated as the poor relation – they have to argue their case as life-saving necessities to get even a little attention, and even then who even knows the names of the inventors of such unprofitable inventions as the biosand water filter and the rocket stove? But when resources are scarce, the simpler the technology, the better – and it doesn’t hurt that simpler technologies are more accessible to people without a high level of skill or expertise. Simpler technologies also tend to be more reliable, and functionality can mean the difference between life and death in some parts of the world. Hardly the most surprising of innovations to make this list, rainwater harvesting is arguably something we should all be doing, not least for the sake of water conservation. But in many regions of the world, rainwater harvesting is not a matter of choice – it is a simple matter of survival for communities without access to piped or pumped water. Rainwater collection and storage is a very simple process that requires next no specialist skills – just an appropriately-positioned storage tank, and some common-sense regarding treatment. 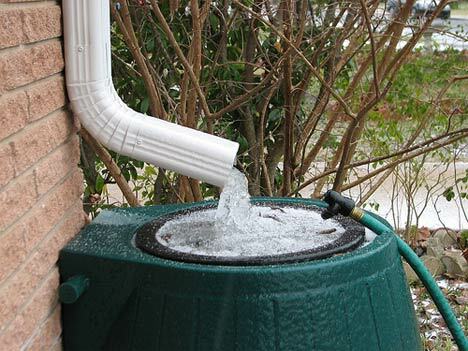 Harvested rainwater is generally safer to drink than surface water, although contamination can occur – particularly if using run-off from gutters and the like – so filtering is recommended. Rammed earth construction is an ancient building technique that involves compressing a damp mixture of earth into an externally supported frame or mould, creating either a solid wall or individual building blocks. It lends itself to low-cost, small-footprint structures, and generates thermal mass that is useful for maintaining a constant temperature, minimizing the need for heating and cooling, and even eliminating it in some cases. Other benefits of rammed earth construction include its strength, durability, and resistance to fire. 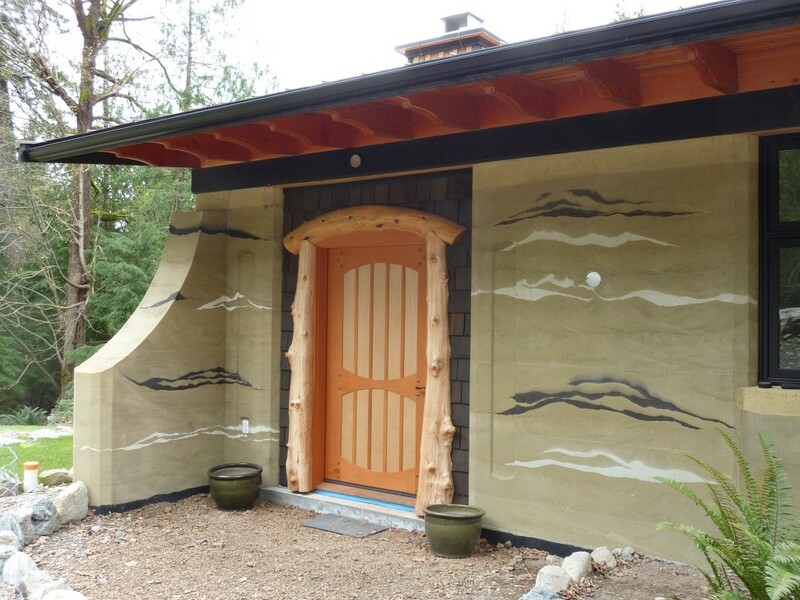 In recent years, rammed earth has become popularized by people seeking sustainable building methods, and is an integral part of Earthship Biotecture, as pioneered by Michael Reynolds, otherwise known as the Garbage Warrior. 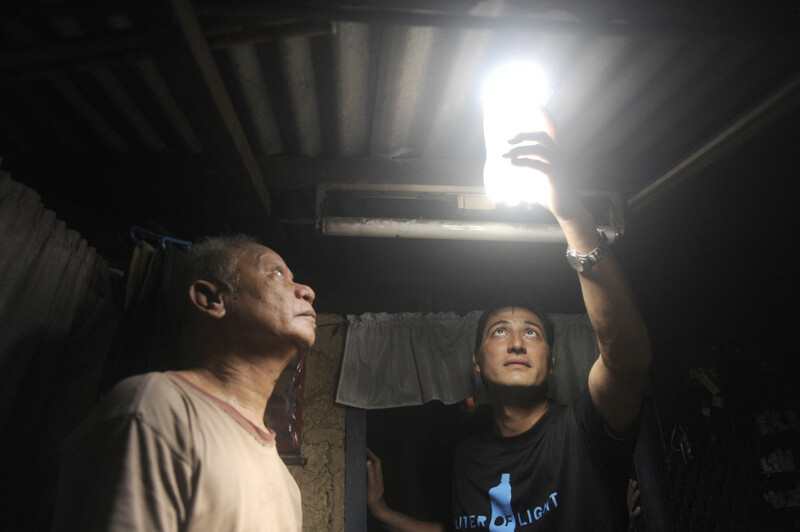 Now this is going to sound strange to those of you who are used to flipping a switch to provide electrical power to an incandescent bulb, but you can literally make a lightbulb out of an old plastic bottle stuffed into a hole in your roof! You just need to fill the bottle with water, add a drop or three of bleach (optional, to keep the bottle from going green with algae), and ensure it is secured half-way in a hole cut in your roof. It’s meant for tin roofs of unglamorous shacks, of course, and is remarkably cheap, easy to install, and makes a huge difference to the lives of people who lack electricity. It works by collecting sunlight in the top half of the bottle, and distributing it out the bottom half inside the building. The only catch is that it only works to illuminate dark indoor spaces during daylight hours – not much chop as a late-night reading lamp. Composting toilets are a low-tech alternative to toilets that are connected to sewerage systems, and are well-suited to isolated dwellings and off-grid communities, particularly in low-income regions where it is no simple task to hook everyone up to modern sewerage. 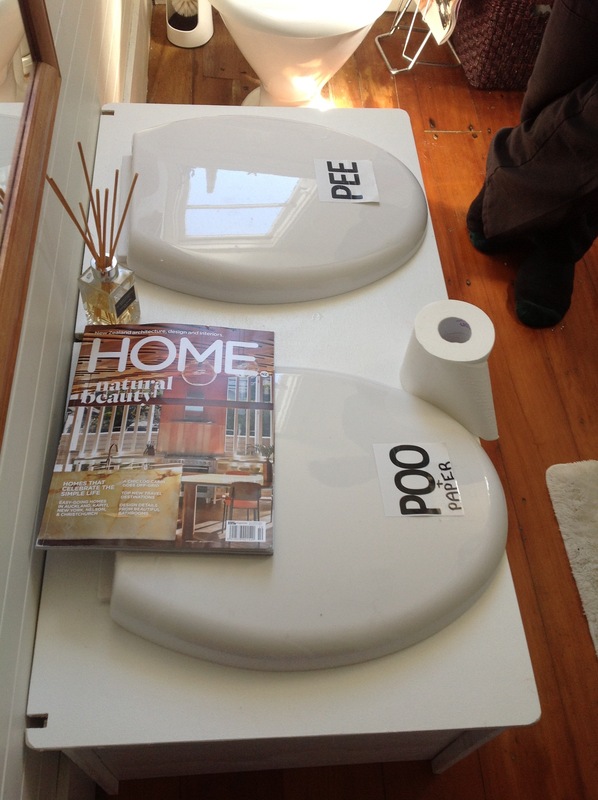 A dry toilet that does not use water for flushing, the composting toilet saves a great deal of water that is otherwise wasted in a sewer-connected system. Instead, it relies on composting, or aerobic decomposition of waste. Aerobic decomposition is assisted with the use of sawdust, coconut coir, or peat moss, to absorb liquids and neutralize odours. An added benefit of composting toilets is, of course, the fabulous yield of fertilizer for the veggie patch! Micro-hydro is a small-scale technology that harnesses the natural flow of water to produce small amounts of electricity. It is particularly suited to isolated dwellings and communities that are not connected to the electricity grid. Low-income regions benefit greatly from the use of micro-hydro as an economical and ecologically-sound energy source. 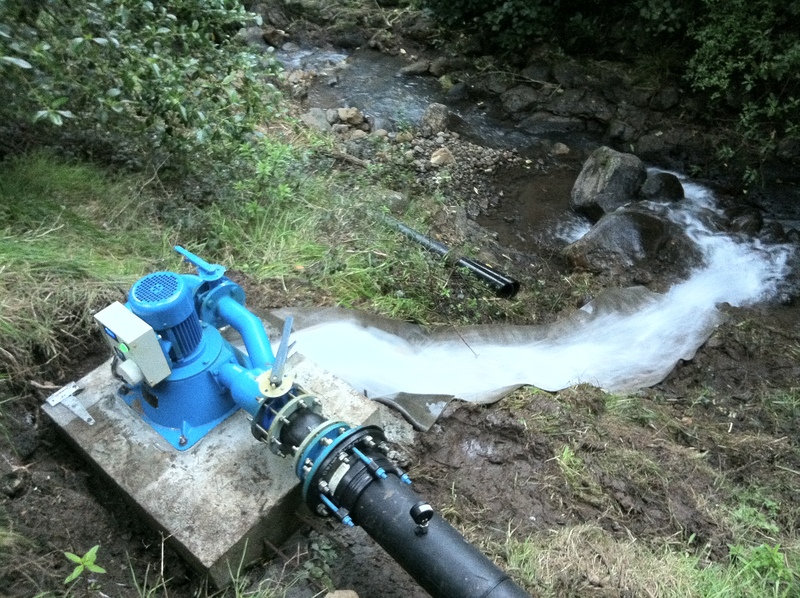 The micro-hydro installation itself is often a simple dammed pool at the top of a waterfall, or a pre-existing mill-pond or artificial reservoir, with an intake structure and a pipeline leading to a turbine. The turbine converts water flow and pressure to mechanical energy, in turn powering a generator which provides electricity. The water is then returned to the source. In regions of the world where clean, safe, drinking water is scarce, people tend to be conservative in their use of water for bathing. 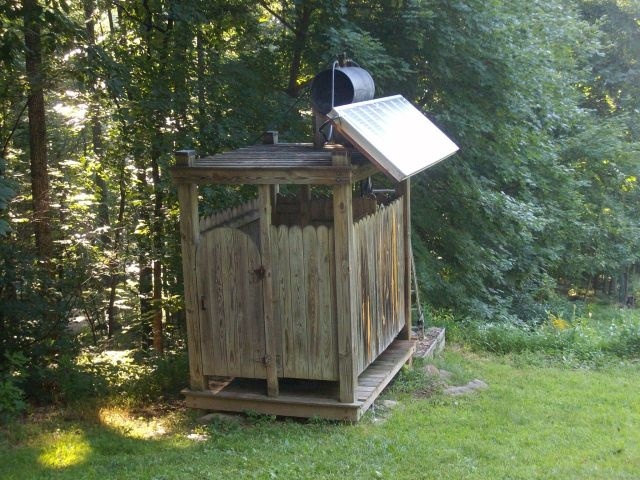 In order to maintain hygiene and avoid the spread of disease, the simple low-tech hygiene option of the solar shower is an excellent solution. The solar shower is simple and cheap to assemble, and can be made with readily available materials. All that is needed is a 20-litre black water jug, a pulley system, and a shower tray or basin. This is enough to provide 16 minutes’ worth of heated showers, which translates to a comfortable hygiene solution for a whole family for a day. 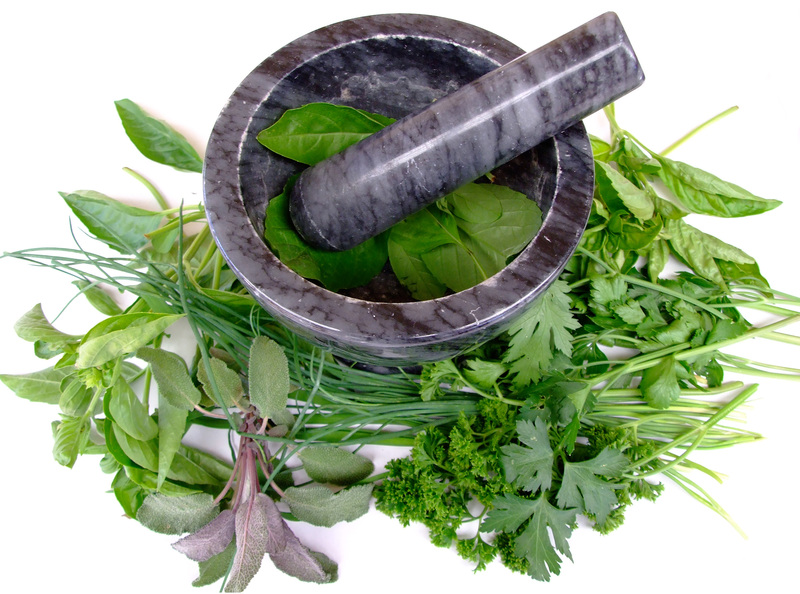 Not often thought of as a form of technology, herbal medicine is a low-tech alternative to the largely petroleum-based, high-maintenance pharmaceutical industry. Far from being a new-age fad, plants have formed the basis of medicine throughout human history, and there is a wealth of knowledge and wisdom with regard to how to use them effectively. Herbal medicine is still widely used in traditional indigenous cultures, and is a mainstay of healthcare in low-income regions of the world where many pharmaceuticals are simply unaffordable. Quinine, used in anti-malarial treatments, for example, comes from the bark of the cinconcha tree – which is often the prescribed treatment for malaria in countries where anti-malarial drugs are too expensive for most people. The Pot-in-Pot fridge is a simple cooling system used for food preservation, designed by Nigerian Mohammed Bah Abba for use in rural areas that lack electricity. The Pot-in-Pot relies on the concept of evaporative cooling, and works by placing a smaller clay pot inside a larger one, with the two pots separated by sand that is kept constantly moist. The evaporation of the moisture causes a cooling effect in the inner pot, in which food is stored. Amazingly enough, fresh vegetables are reported to survive for three to four weeks in the Pot-in-Pot fridge, without the expense of an electricity bill or carbon footprint! 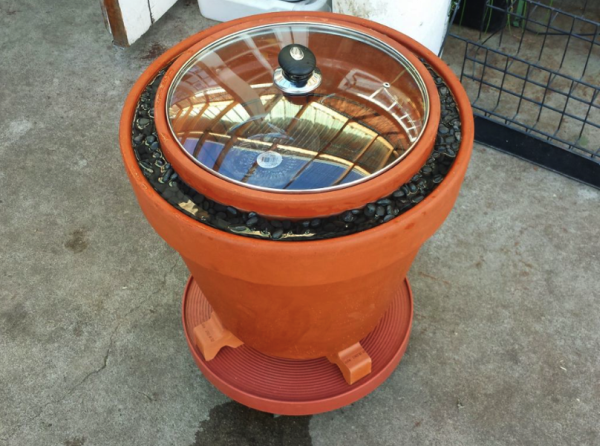 The rocket stove is an extremely efficient heater that reduces biomass fuel requirements by approximately half, making it particularly useful in regions where there is little biomass to burn for heating and cooking purposes. Rocket stoves harness heat and combustion to create a clean and hot burn, using anything from fallen branches to dry grass to animal dung. This removes the need for cutting down trees or walking long distances in search of firewood. 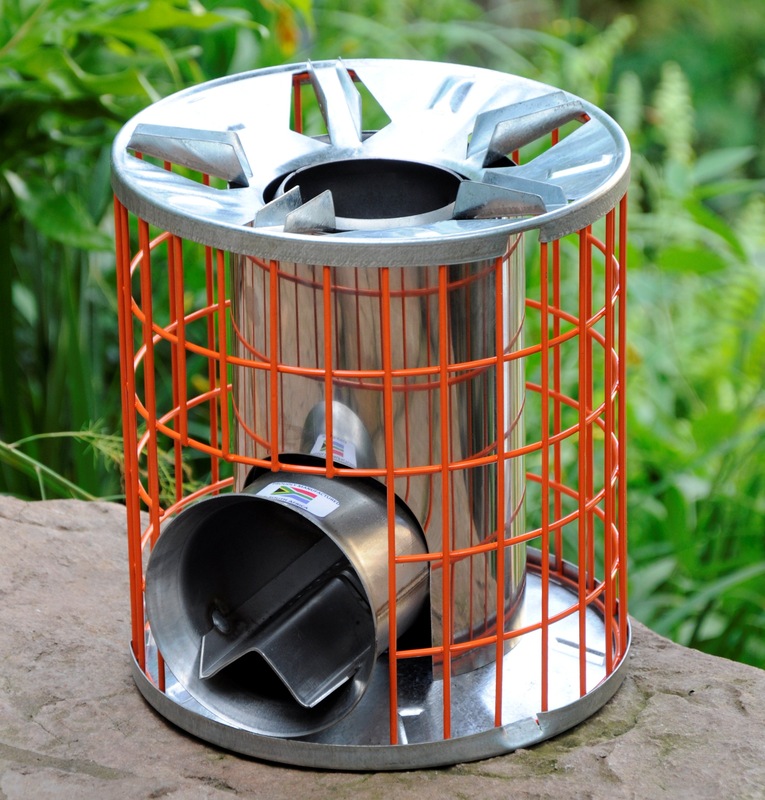 What’s more, the simple design of the rocket stove means that it can be built quickly and easily by non-experts, with the use of locally-available materials. The use of slow biosand filters has been invaluable in low-income regions of the world where many people rely on untreated, contaminated surface water. They are remarkably easy to operate and maintain, making them a highly accessible low-tech solution for safe, clean drinking water. Slow biosand filtration is a water purification technique that uses very fine sand to remove even the tiniest of particles and micro-organisms from contaminated water, and is effective without the use of chemical treatment. The organisms and particles collide with the sand particles, where they are collected to form a ‘biological zone’, in which the micro-organisms form part of an active food chain that consumes pathogens as they are trapped at the surface. 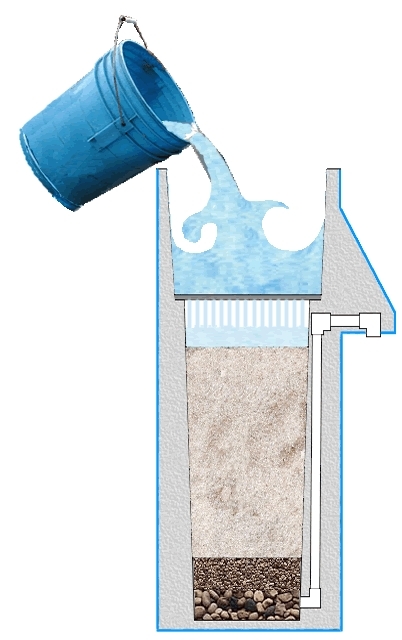 The filter is cleaned by scraping off the bio-film and top layer of sand, restoring the pace and efficacy of filtration.